Winner of THE GREAT HIBERNATION! Congrats, Jennifer, and happy reading! The Great Hibernation will be available for preorder soon, and I’ll share links when this is possible. I’m also planning to hold launch events in Austin, New York, DC, and Colorado this fall, so keep an eye on my events page as the year progresses! Cover reveal for THE GREAT HIBERNATION! Let’s not beat around the (thistleberry) bush. Here it is, the cover for my next middle-grade novel, The Great Hibernation, coming September 12 from Wendy Lamb Books/Random House! The illustrator is the incredible Rebecca Green. I promise, it’ll all make sense once you skate into the story–I’m only sad that nine more months need to pass before you can do so. Leave a comment on this post to enter to win, and to earn more entries, please see the directions below. The most important tradition in tiny St. Polonius-on-the-Fjord is the annual Tasting of the Sacred Bear Liver. Each citizen over twelve must eat one bite of liver to prevent the recurrence of the Great Hibernation, when the town’s founders fell asleep for months. This year is Jean Huddy’s first time to taste the liver. It doesn’t go well. A few hours later, all the adults fall asleep. And no one can wake them. The kids are left to run things, and they’re having a blast. That is, until the town bullies take over the mayor’s office and the police force. Jean suspects that this “hibernation” was actually engineered by someone in town. 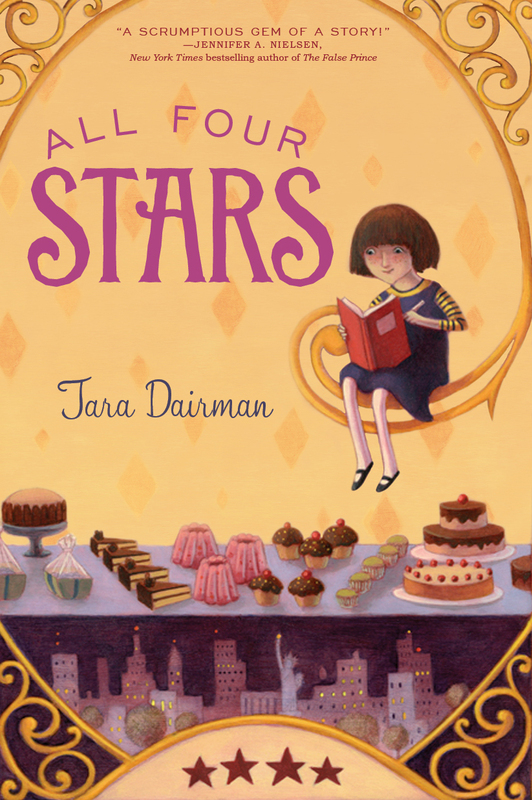 She starts to investigate, and inspires other kids to join her in a secret plan to save St. Polonius. 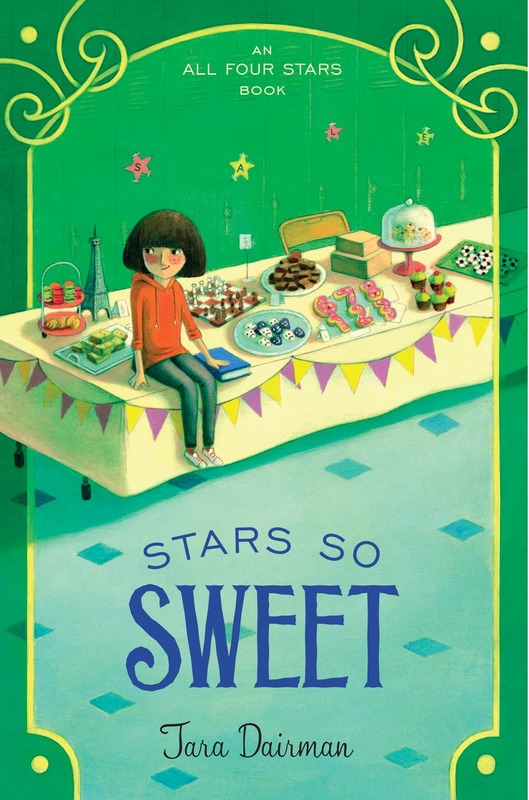 Courage, teamwork, and scientific smarts unlock a quirky mystery in this delightful and funny story. 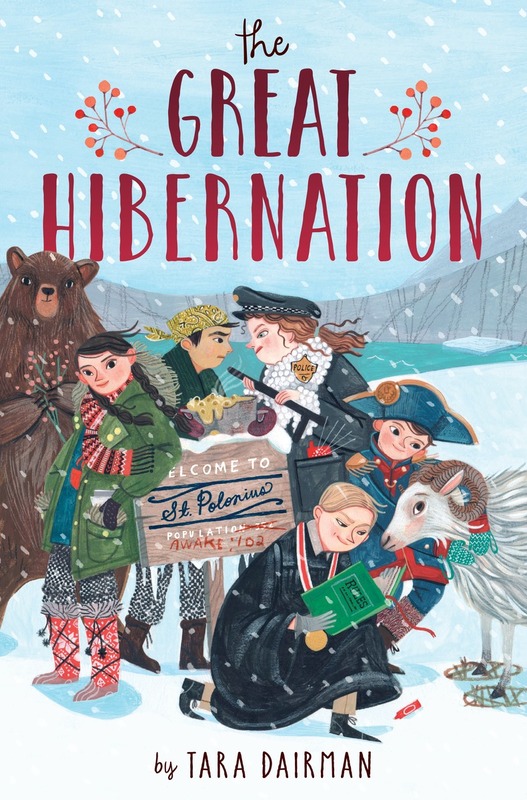 ONE lucky reader will win an ARC of The Great Hibernation! Leave a comment on this post to enter, and you can earn extra entries by signing up for my e-mail newsletter and/or tweeting about the giveaway. Let me know in your comment if you’ve signed up for the newsletter (either now or in the past) and/or tweeted so I can give you credit. This giveaway is open to domestic and international entries. I’ll announce a winner one week from today, on Wednesday, January 18. And feel free to share this cover however you like. The Great Hibernation should be available for preorder very soon from all booksellers!